SACRAMENTO, CALIFORNIA (May 6, 2016) – Dylan Hutchison, driver of the #8 LearnPort / Royal Purple Beast Hutchison, has announced that he will miss Saturday's Madera Sprintcars race at Madera Speedway (CA). Hutchison suffered a hand injury unrelated to racing and will be unable to compete. The injury comes after Hutchison won won his heat race and finished third in the MAVTV-televised feature on May 19th. Hutchison aims to return to pavement sprint car action on Memorial Day May 30th at Rocky Mountain Raceway for round two of the Orchex King of the Wing Western Sprintcar Series. He intends to race for both the Western Series and the Madera Series with 11 total races remaining in 2016. Royal Purple is based in Porter, Texas and produces a wide range of high performance lubricants for nearly every consumer and industrial application. Royal Purple’s sole mission is to develop products that significantly outperform other synthetic and mineral based oils. It is considered by many to be the best synthetic motor oil in the world. ALL AMERICAN SPEEDWAY. 1/4 MILE. ROSEVILLE, CA. www.allamericanspeedway.com Saturday, May 7th. For the last 60 years, the All American Speedway has been the home of short track racing in the northern California region. They will again live up that reputation this Saturday night by treating their fans to a full evening of old school, but highly exciting, racing divisions featuring the Street Stocks, Bombers, the F 4'S, Hardtops and the Limited Late Models. The front gates will open 4pm followed by racing at 6pm. General admission tickets for adults, age 18 to 59, are $10. Tickets for seniors, age 60 plus, and juniors, age 6 to 15, are $7. Kids 5 and under will be admitted free. The speedway also offers a budget friendly family pass, priced at $35, which admits two adults and three kids. IRWINDALE EVENT CENTER, (IEC). 1/2 & 1/3 MILE OVALS. IRWINDALE, CA. www.irwindalespeedway.com Saturday, May 7th. If you're the race fans who truly enjoy crashing, bashing and general mayhem that was purposely created, then you're going to love Night Of Destruction at the IEC This Saturday night. This special evening is being presented by the good people from Pick Your Part and Seidner's Collision Centers and features Enduro Car figure 8 racing, Skid Plate racing, and the always fun Trailer racing. If you're the fans who enjoys regular door to door, bumper to bumper, stock car racing then the IEC also has you covered this Saturday night with a special appearance from their Pick Your Part Late Model division. After spending the winter season winning the Late Model championship at the Havasu 95 Speedway in Arizona, Trevor Hudleston has served notice that he's also chasing after a second title this year at his home track at Irwindale. The Aguora Hills-CA driver goes into Saturday as the division points leader based on two feature wins, that came back to back on the evening of April 16th, along with five top five finishes, However, Huddleston only has a slim eight point advantage over Claremont-CA's Christian McGahee who has a feature win and five top fives. This will be a pair of drivers to keep an eye on when the green flag falls on the division's main event. The IEC spectator gates will open at 4pm followed by destructive racing at 7pm. Pre sale tickets for adults are $10 and $15 at the gate on Saturday, race day. Children's tickets are $5. Those budget friendly pre sale tickets are available via the speedway's website or can be picked up at the main office located at 500 Speedway Drive in Irwindale. KERN COUNTY RACEWAY. 1/2, 1/4 & 1/8 MILE OVALS. BAKERSFILED, CA. www.kernraceway.com Saturday, May 7th. Fox Channel 58 and KBAK will help open the month of May at Kern County's home to NASCAR by presenting "Eye Witness News At The Races," this Saturday night. The track will be backing that promotion with the headlining their NASCAR Late Models treating their fans to twin 35 lap main events. Also on the race agenda will be the Spec Mods, NASCAR Mini Stocks, INEX Bandoleros, 911 Racing Series and Mini Dwarfs, featuring the future driving stars of racing. The front gates will open at 5pm followed by opening ceremonies and racing at 7pm. The raceway's recently realignment of ticket prices is now in effect. General admission tickets, age 16 plus, are $10. Tickets for seniors, age 65 plus, active duty military personnel and kids, age 6 to 15, are $7. Kids age 5 and under will be admitted free..
LOAN MART MADERA SPEEDWAY. 1/3 MILE. MADERA, CA. www.racemadera.com. Saturday, May 7th. Anytime Madera opens its spectator gates it's an automatic hot ticket. They're going to prove that point Saturday night when they present the annual Vukovich Classic featuring a plethora of open wheel racing divisions. The action will be headlined by round 2 of the MAV TV Wester Winged Sprints, Also contributing to the action will be the Senior Sprint Car Series, the BCRA Midgets, the NCMA Midgets, race 2 of the Twisted Tea Modifieds, the CSS/360 Super Modifieds, the Legends Of The Kearney Bowl, the Senior Open Vintage Super Modifieds, the California Hard Tops, Vintage BCRA Midgets and the USAC HPD Midgets. Even by typical Madra standards that's an amazing line up. On Saturday race day, practice will begin at 1245pm followed by qualifying at 3pm with opening ceremonies and main events set for 6pm. General admission tickets, age 13 plus, are $20 which is a bargain for all of this racing. Tickets for seniors and military personnel are $17 with youth tickets, age 6 to 12, at $10. Kids five and under will be admitted free. ORANGE SHOW SPEEDWAY. 1/4 MILE. SAN BERNARDINO, CA. www.theorangeshowspeedway. Saturday, May 7th. The OSS will be staging a huge show for its fans this Saturday night headlined by the Open Late Models running a 50 lap main event. The evening also includes the season debut of the OSS Modified running a 40 lap main. Adding to the on track excitement will be the the Street Stocks-30 laps, Mini Stocks-30 laps, Bandoleros-25 laps, Outlaw Figure 8's-20 laps and the always fun Barber Pole race-15 laps. The very busy day at the OSS begins with a special practice session from 830am to 1145am. There is an entry fee, cash only, of $50 for this special session. The regular scheduled practice session will be held from 1 to 3pm followed by qualifying at 315pm, heat races at 6pm, trophy dashes at 7pm and main events at 730pm. General admission tickets, for all of this racing, are only $10 with tickets for children and seniors set at $8. Active duty military personnel and kids under 5 will be admitted free. TUCSON SPEEDWAY. 3/8 MILE. TUCSON, AZ. www.tucsonspeedway.com Friday & Saturday May 6th & 7th. Tucson Speedway has a huge weekend featuring the NASCAR K&N Pro Series West running the K&N Wild Cat 150, presented by Interstate Batteries and Port Of Tucson. Tucson support divisions will be the Mini Stocks, Modifieds and the Tucson Trucks. The huge schedule begins on Friday night, at 430pm, with a series of practice sessions for all racing divisions. At the 830pm the pit party will begin featuring an autograph session with the NASCAR K&N Pro Series West drivers. The party includes beer, food and DJ music. Saturday's schedule begins with a practice session for all divisions from 1 to 4pm. West Series qualifying is scheduled at 530pm followed by the traditional on track autograph session at 715. The main events for the Tucson Speedway divisions will roll out at 7pm with the West Series main set for 830pm. Tickets for just the Friday night practice session and pit party are $5. Combo tickets for Friday and Saturday nights are $38 for adults, $28 for seniors and military personnel and $23 for kids age 6 to 11. Tickets for Saturday night only are $35 for adults, $25 for seniors and military personnel and $20 for kids age 6 to 11 with kids 10 and under free. Tickets are currently available via the speedway's website. The 2016 season at Redwood Acres Raceway began with a bang this past Saturday night. A fantastic crowd graced the 3/8-mile paved oval for the first race of the year and the on-track action did not disappoint. It was a thrilling night of racing that ended with a first-time winner and some raw feelings. Prior to the racing, the track hosted its annual Best Appearing Car contest. Fans cast their vote on a ballot for cars in all six divisions. Winners of the contest were Bethany Rapp in the roadrunners, Ryan Ahrens in the bombers, Brian Murrell, Jr. in the mini stocks, Ronnie O’Neill in the Thunder Roadsters, M’Kinzy Uselton in the Legends and Ryun Leazer in the late models. The California State & Federal Employee Credit Union roadrunner trophy dash was won by Bethany Rapp. Steve Paiment took heat race honors. Jennifer Murrell jumped to the lead at the start of the 20-lap feature but was overtaken by rookie driver, Richard Standcliff. Murrell regained the lead a lap later until Paiment was able to maneuver to the front. A caution briefly slowed the field and allowed Standcliff and Rapp to close in on Paiment. The three fought tooth-and-nail for the lead with Tyler Peach eventually joining in during the final handful of laps but brought out the caution flag for hitting the passing cone in turn three. Rapp got shook out of the race for the win and the battle was between Standcliff and Paiment. The two traded paint coming off turn four to the finish line with Standcliff holding off Paiment for his first win in his first night of racing. Rapp took third followed by Peach and Murrell. James Moore was victorious in the Fortuna Wheel & Brake bomber division while Tyler Avelar took top honors in the heat race. The 25-lap feature was dominated by Moore. At one point, Moore had nearly a full straightaway lead over second place, Avelar. Like a light switch, Moore’s car suddenly seemed to fall off and Avelar quickly closed the gap and took the lead. Moore did all he could to get back into the fight but just did not have the strength to recover the lead. At the finish it was Avelar taking the win over Moore, Ryan Ahrens, Matt Simon and Kim Sorrels. The Humboldt Hydroponics mini stock division trophy dash went to Gary Klinetobe. Brian Murrell, Sr. took the first heat race victory while Jarrett Mayo took the second heat. Murrell, Sr. led the early stages of the 25-lap main while the field behind him sorted things out. The man to beat on the night was Mayo and it didn’t take long for him to maneuver from the rear of the field to the race lead. Mayo would never relinquish the top spot. The race was slowed several times including once when Jordon Paiment’s car leaked fluid on the track which resulted in a red flag. Each time Mayo was able to pull away from the field on the restart. The best action was for second place as Brett Murrell, Klinetobe and Eugene Palmer fought hard for the position. At the finish it was Mayo taking the win in dominant fashion. Klinetobe took second while Murrell edged Palmer for third in a dead heat. Division rookie, Daniel Buell rounded out the top five. The Thunder Roadster trophy dash was won by Donnie Brown. Tommy Payne took the win in the heat race. The 30-lap feature was a caution-free affair that saw Aaron Byers utilize a three-wide pass for the lead on lap one. Payne moved into second and the front two staged a nip-and-tuck battle for the race lead throughout the event. The front three of Byers, Payne and Chris Sarvinski separated themselves from the rest of the pack and it was clear one of the three would likely be victorious until Sarvinski spun out of turn four with two laps remaining. Just moments after, coming off the second turn, Payne found the run he needed to get inside and past Byers for the lead. Byers tried to fight back on the last lap but couldn’t muster the strength necessary. At the finish it was Payne winning over Byers, Brown Ronnie O’Neill and Sarvinski. The Legends cars made their debut at the Acres on the night. While only four cars showed, the division promises to grow as the season progresses. Brent Mack took the win in both the trophy dash and the heat race. The Mid City Motor World late models had an excellent turnout of 16 cars but unfortunately issues prevented Robbie Nelson and Ken Hallis from racing on the night. Mic Moulton won the trophy dash while the two heat races were claimed by Marty Walsh and Moulton. The 50-lap feature saw two additional cars have issues with Ron Duke, Jr. unable to make the start and rookie driver, Dustin Walters pulling his car into the pits before the green flag. Richard Knight took the lead after a brief battle with Luke Hall. Knight’s car appeared to have issues and it allowed Hall to get back into the lead over Ryun Leazer, Walsh and Jimmy Walker. Two laps later, Leazer moved past Hall into the lead but lost it quickly to Walsh who found the low line under both drivers. Moments later, Hall and Leazer got together in turn one with Leazer spinning and collecting Knight. Hall was sent to the rear and the race resumed for a brief period until it was slowed again, this time due to a wreck in turn four between Hall and Leazer forcing both drivers out of the race. The race resumed with Walsh and Walker battling for the lead. Two more cautions slowed the field including an incident between Jedd Ambrosini and Mic Moulton which both drivers were able to continue from. Walker was in Walsh’s hip pocket all race long and applied more and more pressure as the race came to a close. With a handful of laps left, Walker got into the rear of Walsh in turns three and four sending Walsh spinning. Walker was forced to the rear for his involvement which gave Ambrosini the race lead. Moulton did all he could to force Ambrosini to make a mistake but it wasn’t to be as Ambrosini held on to take his first-ever late model feature win. Moulton held on for second over Walsh, Walker and Al Acuna. Racing returns to Redwood Acres Raceway in two weeks for Pepsi Night on Saturday May 14th. All six local divisions will be in action once again and it promises to be another exciting night of action that fans won’t want to miss out on. Grandstands open at 5:00PM with racing beginning at 6:30PM. For more information, visit Redwood Acres Raceway’s official website, www.racingtheacres.com. DAYTONA BEACH, Fla. – Todd Gilliland will try to make it 3-for-3 in the NASCAR K&N Pro Series West Saturday at Arizona’s Tucson Speedway for the NAPA Auto Parts WildCat 150. The 15-year-old kicked off his rookie campaign with back-to-back wins at California’s Irwindale Speedway and Kern County Raceway Park in Bakersfield, and sit at the top of the series standings with 95 points. Gilliland's run for history ended at Bristol (Tenn.) Motor Speedway when he finished ninth. He entered the NASCAR K&N Pro Series East race attempting to set the record with five consecutive NASCAR K&N Pro Series victories to start his career. A win out West won’t come easy to Gilliland as Jefferson Pitts Racing will look to capitalize on their success at the .375-mile oval last season and collect their first win of the season. Last year, Noah Gragson earned his first career series victory in a wild green-white checkered finish with Gracin Raz finishing second. Ryan Partridge, who sits nine points behind Gilliland in the standings for second, could also be a threat to the Sunoco Rookie of the Year leader. Partridge, who has a pair of runner-up finishes this year, was fourth at the Arizona oval last season. EVENT SCHEDULE: Garage opens: 10 a.m.; Practice: 1-1:45 p.m.; Final Practice: 2:15-2:55 p.m.; Driver/Crew Chief Meeting: 4:45 p.m.; Qualifying: 5:30 p.m.; Driver Autograph Session: 6:15 p.m.; Driver Introductions: 8 p.m.; NAPA Auto Parts Wildcat 150: 8:30 p.m. 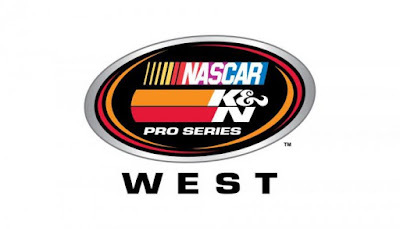 The Race: The NAPA Auto Parts WildCat 150 is the third race of the NASCAR K&N Pro Series West season. It is the third of 11 oval track events and 14 races overall on the schedule. This is the series’ second visit to the track since March 10, 2001. The Procedure: The starting field is 24 cars, including provisionals. The first 20 cars will qualify through two-lap time trials will the remaining four spots will be awarded through the provisional process. The race is scheduled for 150 laps covering 56.25 miles. The Track: Tucson Speedway was known as Tucson Raceway Park until 1993 and was named Raven Speedway from 1968-93. The track was built in 1968 and originally has a clay surface. The track was closed in 2010 and was re-opened in 2013. Tucson re-joined the NACAR Whelen All-American Series in 2014. The Records: The one-lap qualifying record was set by Ron Norman on May 2, 2015 at 15.794 seconds (85.475 mph). The 150 lap race record was established by Noah Gragson at 1 hour and 5 seconds (58.419 mph) on May 2, 2015. Norman and Levin Return Home: Hometown team Norman Levin Racing will return to their neighborhood track Saturday. Norman, who won the pole at Tucson last year, is the 2014 NASCAR Whelen All-American Series Arizona champion. He won his ninth Super Late Model Title at Tucson in 2014 – his fourth under the NASCAR banner – en route to the state title. Levin, finished second in the Super Late Model class in 2014 and third overall in Arizona. Levin and Norman raced in the K&N Pro Series West full-time last year and finished 11th and 12th, respectively, in last year’s NAPA Auto Parts WildCat 150. Smith Making Debut: Stafford Smith will be making his NASCAR K&N Pro Series West debut Saturday at Tucson. The Eagle, Idaho, teen races at Meridian (Idaho) Speedway and currently is eighth in the track’s NASCAR Whelen All-American Series Modifieds division. K&N West Make Second Trip to Tucson: This weekend will mark the NASCAR K&N West’s second trip to Tucson since March 10, 2001. Prior to last year’s return, the track had undergone major renovations with the most recent remodel occurring in 2013 by new owners John Lashley and Brad Cornelious. Since 2012, over two-miles of cracked asphalt was torn out and the surface was repaved and resealed. Saturday night feature a jammed packed racing schedule. Prior to the NASCAR K&N Pro Series East race, three local divisions will continue their fight for their respective titles. Keith Lopez leads the Modifieds Division with 64 points, only six points ahead of Denny Arcas. Brandon Farrington will look to extend his points lead, he has a 28 point lead over Jeremy Smith (243-215). The Mini Stock Division will also hit the track. Tim Blodgett and EK Ongley are tied with 61 points and will look to break the tie Saturday night. The NASCAR Whelen All-American Series action will be broadcast on FansChoiceTV. SACRAMENTO, CALIFORNIA (May 3, 2016) - Round three of the Pacific Challenge Series presented by PenneyLawyers is this Saturday night at Ukiah Speedway as drivers continue their battle towards the 2016 championship. Teammates Jeff Bischofberger and all-time winningest PCS driver Jeremy Doss anchor the standings for the touring Super Late Model Series. For Doss, not only is Saturday's race critical for the championship, Ukiah is his home track for the Upperlake, CA driver. Doss has enjoyed great success at the challenging quarter-mile bullring at the Redwood Empire Fairgrounds, scoring four wins and a perfect record of six-for-six top-fives. Doss has won his last four starts at the facility dating back to his October 2012 win that propelled him to the PCS championship. "Ukiah Speedway means a lot. That's kind of where it all started there. I started there in Legends cars. All around it is a great facility! You get a lot of fans and there's always great racing with the Pacific Challenge Series," Doss said. "I've always had great success there and looking forward to coming back. To have success in front of your home fans means a lot. The last couple times we've been there we picked up the win so we're hoping to do that again." Bischofberger leads Doss by two points on the strength of back-to-back third place finishes to open up the PCS season. Running third in the championship is Loomis' Chris Scribner with runs of sixth and fourth this year. 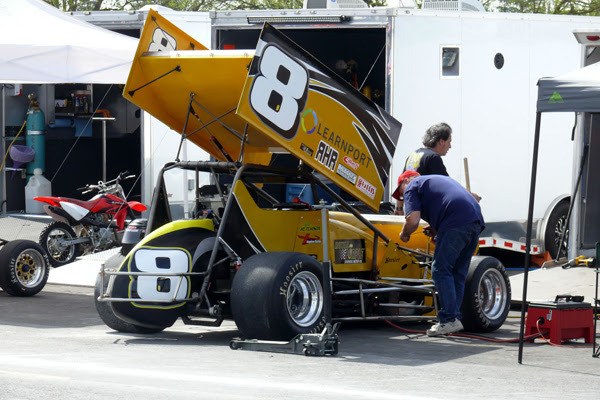 Scribner and Doss are the only two active points contenders with career victories at Ukiah. 2015 series champion John Moore of Granite Bay, CA is fourth in the standings and finished in the top-five in all three Ukiah starts last year. Canadian Darrell Midgley rounds out the top-five. Hayward's Danny Malfatti has scored top-tens in both 2016 PCS races to rank sixth with 2014 champion Mike Beeler seventh. Beeler is one of the more accomplished PCS drivers in Ukiah history with five starts, three top-fives, and five top-tens. Eighth in PCS points is 2015 Rookie of the Year Cole Moore with Tracy Bolin staring down his Ukiah debut from ninth in the standings. The most active Ukiah driver out of current PCS drivers is Jimmy Stillman. Using the combined PCS and Airport Auto Brokers Late Model history books Stillman has accumulated 13 starts with eight top-tens and a second place effort in 2009. Stillman rounds out the top-ten in PCS standings. Mike Hite and Travis Milburn have both made the first two PCS races but find themselves mired in 13th and 14th in the standings hoping to use Ukiah as a comeback race. JR Courage missed the Roseville round but is expected at Ukiah while Matthew Wendt had a successful debut at Roseville he hopes to ride into Ukiah. Todd Lands of Cloverdale has two career AABLM/PCS Ukiah starts and aims to return to action on Saturday. Saturday's races for the Pacific Challenge Series at Ukiah are also the season opener for Ukiah, with local track Bandoleros, Bombers, Mini Stocks, and Legends scheduled. It marks the third of as many as eight times Legends will race with PCS this year. Friday action includes a practice session from 3 p.m. until dark. The pit gates will open at noon for practice with pricing $30 per person (no car fees). On Saturday pit gates open at 10 a.m. and grandstands open at 3:30 p.m. Qualifying will be at 5 p.m. with racing to follow. For more information on the Pacific Challenge Series, visit them online at www.PacificChallengeSeries.com or on Facebook and YouTube. 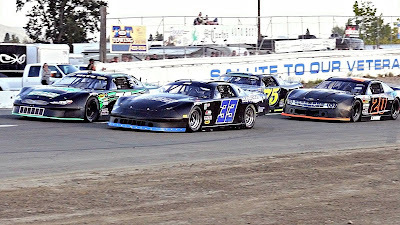 Ukiah Speedway is located on the Redwood Empire Fairgrounds in Ukiah Speedway, just minutes from beautiful Clearlake with many recreational opportunities. The Pacific Challenge Series is presented by: Penney Racing Supply, Penney & Associates, American Racer Tires, Maita Chevrolet, Compact-It, Northwest Compactors, Naake Suspension, Sunoco Fuels, Five Star Bodies, Brake-O-Meter, Lefthander Chassis, ARP Bodies, Joes Racing Products, Bassett Wheels, Frank's Radio, WrapStar Pro, and Blakesley Sports Media. All PCS Super Late Models race ABC Bodies or Muscle Car bodies on American Racer Tires with Sunoco Racing Fuel.